The following materials are either available for downloads on this site or can be ordered from the DOV Coordination office or from WCC Publications. Study guide: "Telling the truth about ourselves and our world"
A study guide to help individuals and churches continue to reflect and act together as the 2001-2010 Decade to Overcome Violence – Churches Seeking Reconciliation and Peace is celebrated at the International Ecumenical Peace Convocation (May 17-25, 2011, Kingston, Jamaica). Hard copies can be ordered for free from the DOV Coordination office. Shipping costs will nevertheless be charged on large orders. The study guide has been translated to French, German, Japanese and Spanish. 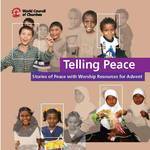 "Telling Peace" is a collection of liturgical resources for the four Sundays of Advent. It is the second of a collection of worship materials from different regions of the world, prepared in the framework of the International Ecumenical Peace Convocation 2011. The resources for 2009, including four complete worship orders, liturgical texts and songs, come from Asia and were prepared by liturgists and musicians from different Asian regions. 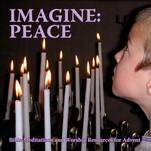 "Imagine: Peace" contains suggestions for services on the four Sundays in Advent. It is the first part of a collection of worship material from different regions of the world for the International Ecumenical Peace Convocation 2011. The bible meditations are invitations to reflect on biblical aspects of peace and overcoming violence. The texts and songs of peace may also be used in contexts other than the Advent season or church services.